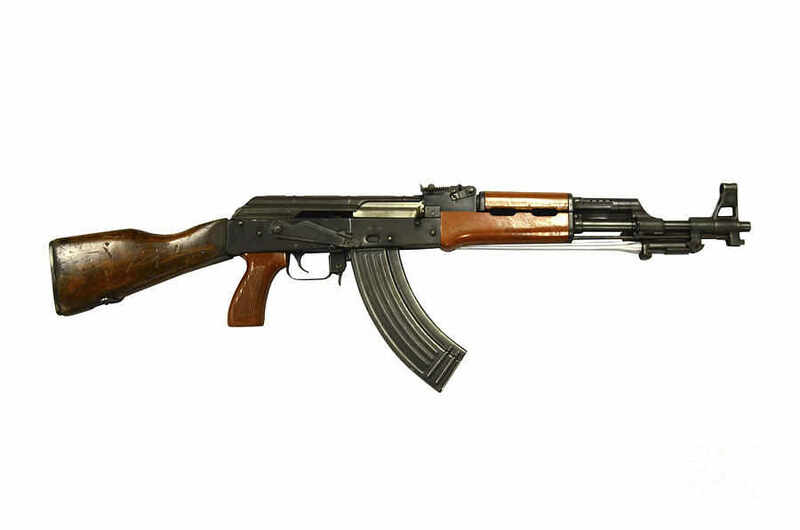 The 7.62x39mm Type 56. Arguably China’s most successful export long before the advent of its sleek smartphones, solar panels, and cheap cars. A UK think tank and a Belgian research institute just published a fascinating report about China’s most powerful defense contractor. The Working Paper on China North Industries Group Corporation (CNGC), a collaboration between the Omega Research Foundation (ORF) International Peace Information Service (IPIS), was released on January 29, 2015, and is available on their websites for free. On the cover of the Working Paper is a photograph of the VN1, also known as the ZBL-09, a modular 8×8 APC used as the basis for a Norinco tank destroyer. It’s not surprising or even controversial to acknowledge how powerful Norinco is. As a prime example of a successful state-owned enterprise, Norinco isn’t out of place in East Asia’s economic landscape, where vast state-owned corporations hold sway. Since 1999, however, it has maintained an enviable state of vertical integration that allows it to manufacture assault rifles, UAVs, missiles, and third-generation main battle tanks. Simply put, Norinco is the armorer of the PLA and the quality of its output has improved drastically in the last 20 years. According to the ORF’s introduction, this process was a result of a US and EU arms embargo imposed after the Tiananmen Square massacre in 1989. In the EU’s case, the decision was enforced on June 27, 1989, and was never lifted. But the ORF reveal in the Working Paper‘s introduction that Norinco, also known as CNGC, circumvented the embargo by using subsidiaries to launch joint ventures or acquire manufacturing licenses for dual-use systems. A lot of these products and equipment ended up in the PLA and with China’s sprawling security apparatus. But it wasn’t really until 1999 when Norinco we know of today formally came to exist after the Jiang Zemin regime reorganized the country’s military-industrial complex. As the main provider of ground systems and armored vehicles, as well as related technologies, for the defense establishment, Norinco used its size to enter related industries. ORF lists these as mining, oil and gas, infrastructure, chemicals, logistics, import-export, and optoelectronics. These peripheral activities are hardly a secret and even listed in Norinco’s website. Less known, however, are its vast network of subsidiaries. This is where the ORF and IPIS research team distinguishes themselves. Using open sources, they compiled a list of every firm that serves Norinco’s bottom line: arming China. The ORF admits that no matter how exhaustive their present findings (almost 50 pages of company information) their work is incomplete. The ORF makes it clear that Norinco and the CNGC are two different entities, though their names are interchangeable. Any confusion this may cause doesn’t bother China’s leaders since Norinco exists to circumvent an arms embargo and at the same time export Chinese-made arms abroad. Note that in 2014 China was recognized as the world’s third largest arms exporter by SIPRI. It’s easier to play with a US perspective. Imagine if General Dynamics, General Atomics, Oshkosk, Raytheon, Colt, Remington, and Textron Systems merged into a single mega-corporation with marketing and foreign investment handled by Koch Industries. This is what Norinco and CNGC are. The ORF’s assessment of Norinco is explained by another profile from the Nuclear Threat Initiative (NTI)–a US think tank. Like ORF, the NTI recognizes Norinco as an exporter while the CNGC is based at home, its tentacles spread far and wide. ORF literally charts the extent of these tentacles, with surprising results. At least 46 entities are under CNGC’s umbrella. These span dozens of firms and subsidiaries, including the Northern Science and Technology Information Institute, a publisher. Amid the endless corporations involved with optoelectronics (for targeting lasers), “resource extraction” (certain rare earth elements are essential for CPUs and computers), and heavy-duty vehicles, there are standouts like the China Command and Control Society, a think tank. Then there’s North Industries Group Finance Co. Ltd. handling “financial services” and Pacific Can with its involvement in, well, aluminum cans. The ORF Working Paper is a valuable intelligence trove. It’s one of the few documents available that shows a military-industrial corporation’s size and reach.